Chances are, if you’re someone who loves filling their home with beautiful scents, you already own a Diptyque candle (or two or three). 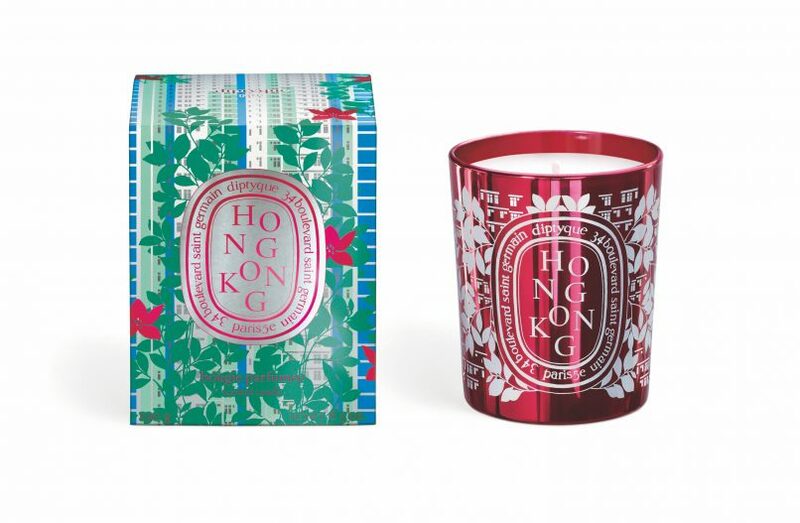 Long exalted by scent and design aficionados, the Parisian fragrance house has just recently reopened its Hong Kong flagship at IFC Mall, unveiling a tremendous new makeover, as well as a limited edition Hong Kong candle — one of only a handful of scents dedicated to one city. 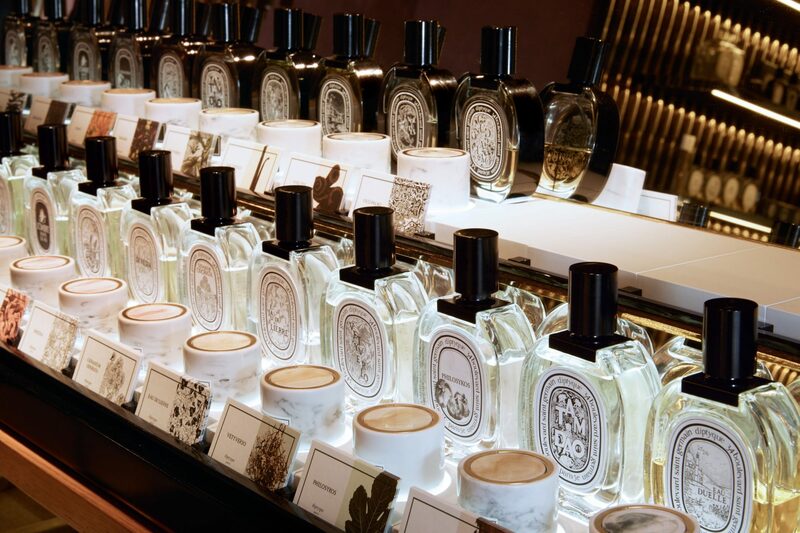 It represents the brand’s unrelenting search for timeless elegance when it comes to fragrances. 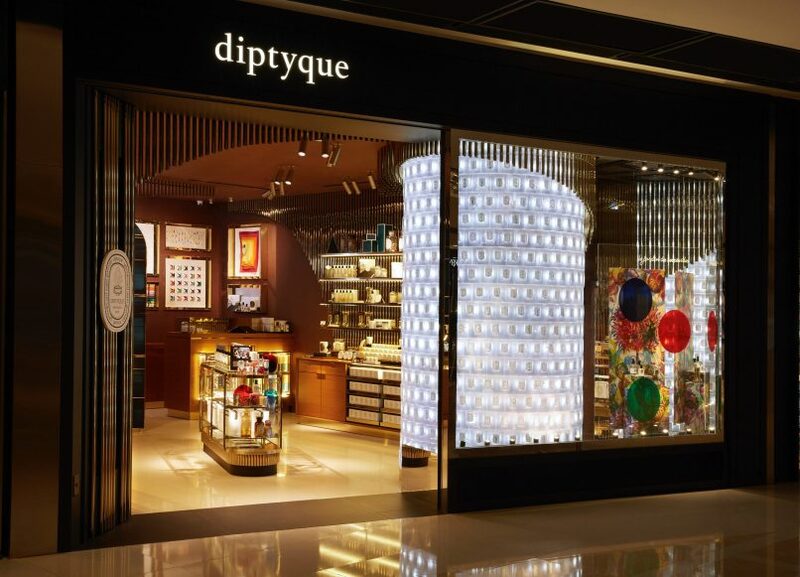 Located by the atrium, the Hong Kong flagship has been transformed with sophisticated earthy and bronze tones, with artful and thoughtful touches such as a wall motif of gleaming brass pipes, alluding to the musicality found in Diptyque’s scents. 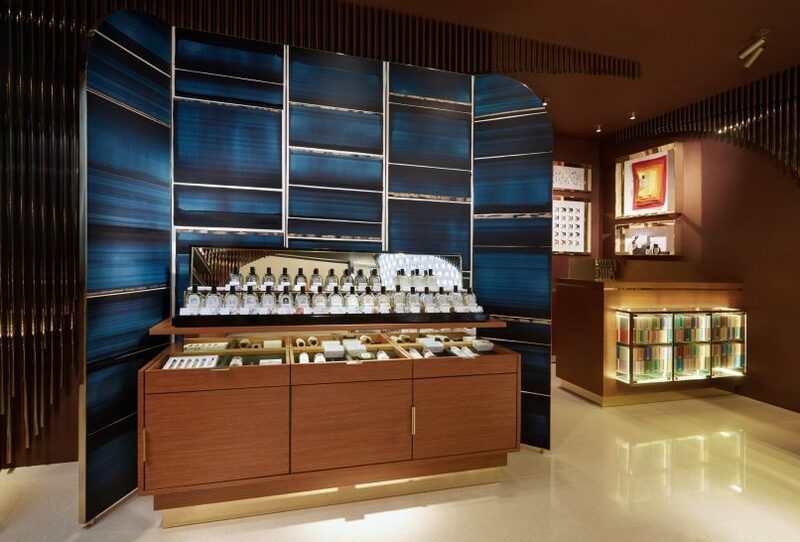 At the heart of the store is a specially commissioned art screen by artist Nicolas Lefeuvre. “Another thing is the light: If I wake up at 5:30am or 6am, I love the light at this time,” he says. Despite being an art director at Chanel for 14 years — a job that has taken him from Singapore to Tokyo, Nicolas Lefeuvre has been painting and holding regular exhibitions for his work throughout his whole professional career. He dedicated himself to his own art when he moved to Hong Kong five years ago, and he currently works out of a workshop in his home on the Peak. “I had too many things in my head and not enough time,” says Lefeuvre. Lefeuvre’s work is deeply rooted into his locale. “What I try to express in my work is the relation I have with the place I live in. I had a series called “The State I’m In,” which [compares] the psychological and geographical states. I don’t use brushes, I use objects all around me,” he says. “For example, I found ink rollers from an abandoned print factory, and used them to paint. When I was living in Japan, I was painting and inking with geisha shoes. I was buying kimonos from flea markets, putting them in ink and pressing them on paper. And in the next city I live in, I will find another technique. This is a good way to explore,” he says.